Serving New Jersey with over 45 years of experience. Charlie Brown’s Fresh Grill and Steakhouse offers our signature and aged hand-carved, slow-roasted prime rib, delicious USDA Choice steaks, juicy USDA Choice burgers, our famous Unlimited Farmer’s Market Salad Bar™, and so much more. Our philosophy is simple: to provide great food, exceptional value, and friendly service to each and every customer we serve. No matter where you call home, you can expect the same family-friendly restaurant atmosphere, great service and value, and delicious food you look forward to any day of the week. Shrimp and ricotta ravioli tossed in garlic basil pesto sauce and paired with a grilled shrimp skewer. Served with garlic bread. Pan-fried branzino topped with grilled lemon and fresh herbs. Served over garlic sautéed spinach and a side of roasted lemon potato wedges. 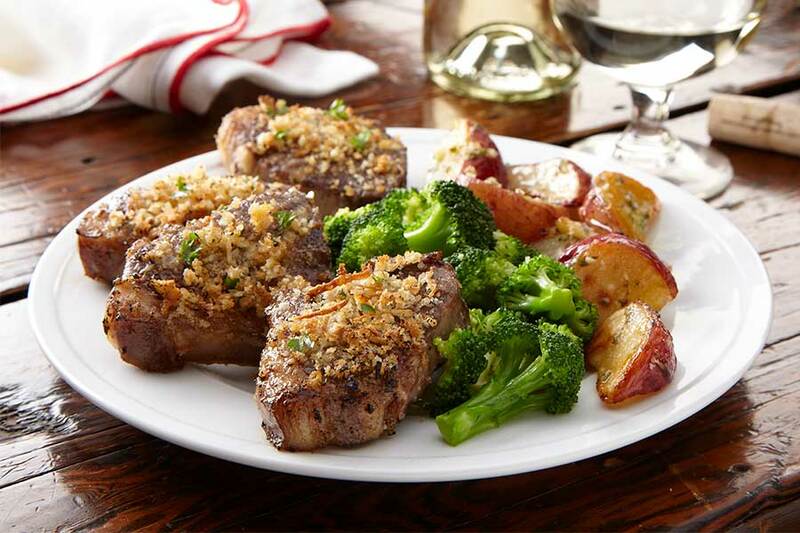 Lamb T-bone chops topped with roasted garlic aioli and a Parmesan crust. Served with roasted lemon potato wedges and steamed broccoli. Sliced bistro steak topped with roasted garlic aioli and a Parmesan crust. Served with lyonnaise potatoes and garlic baby beans. Smoky BBQ spiced pork porterhouse chop served with southern BBQ sliced potatoes and baked beans. Grass-fed premium Black Angus flank steak topped with our signature bourbon demi glace and sautéed mushrooms. Served with frizzled onions and your choice of one side. Hand-cut 14 oz. 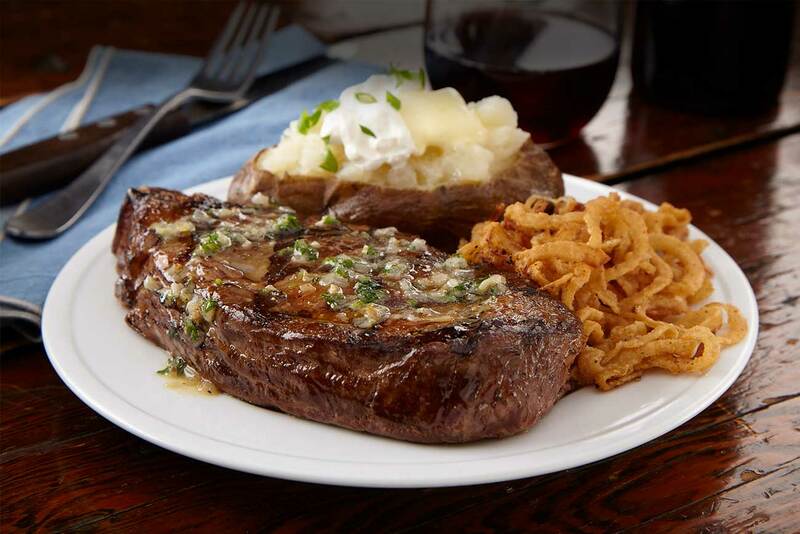 grass-fed premium Black Angus ribeye grilled to order and finished with herb shallot butter. Served with frizzled onions and your choice of one side. A combination of grilled beef skewers and grilled shrimp skewer. Served with seasoned rice and frizzled onions. Sautéed tender scaloppine of veal topped with a lemon butter caper sauce. Served with mixed vegetables and garlic mashed potatoes. 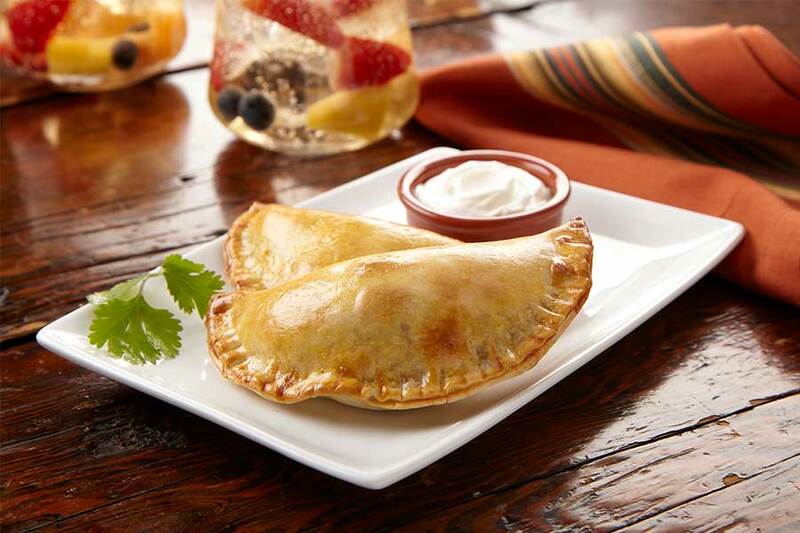 Baked and filled with a blend of ground beef, chorizo, peppers, olives, peas, carrots and onions. Served with jalapeño garlic aioli. Crispy fried avocado crescents served with buttermilk ranch dressing. Herb breaded eggplant rounds layered with garlic basil pesto, roasted red pepper and fresh mozzarella. Finished with balsamic glaze. Ricotta, Romano, mozzarella and Parmesan pasta purses tossed in a fresh tomato and garlic sauce. Beef meatballs served atop Mediterranean red onion salad and served with chili aioli. The fastest, freshest lunch in town. Looking for a healthy option or the the perfect pairing to your meal? 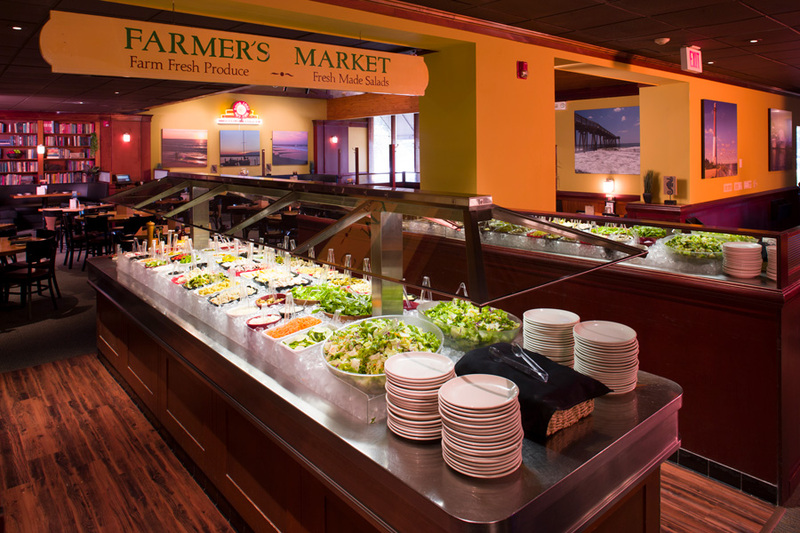 Our award winning Unlimited Farmer’s Market Salad Bar™ is a culinary experience not to be missed. As proud supporters of local farmers and the Jersey Fresh program, we feature locally-grown seasonal produce. But that’s not all… we feature deli meats and cheeses at lunch along with a vast selection of homemade signature salads and premium dressings. 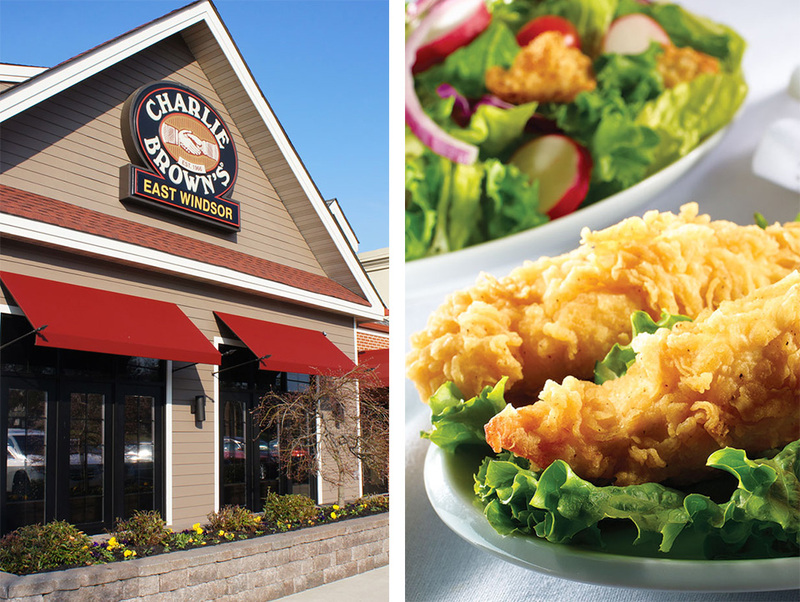 Charlie Brown’s Fresh Grill and Steakhouse offers our signature and aged hand-carved, slow-roasted prime rib, delicious USDA Choice steaks, juicy USDA Choice burgers, our famous Unlimited Farmer’s Market Salad Bar™, and so much more.